Elizabeth, NJ, June 11, 2015— Alpha Wire is proud to announce the implementation of a cable finder tool on alphawire.com. 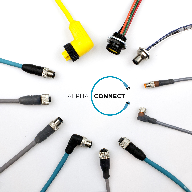 The Cable Finder will allow users to quickly find a cable that fits their wants and needs for a specific application by choosing different attributes and filtering through search results. The guide provides a variety of filters such as gauge size, voltage, flex life cycles, temperature, sterilization requirements, in addition to attributes relating to cable applications, specifications, and approvals.